A few years back a video started circulating online, a black-and-white clip of a 1965 TV appearance on a local Canadian show of a young woman from Saskatoon, Joni Anderson by name. She performed two songs: a distinctive original "Born to Take the Highway" and a version of John Phillips' cowboy ballad "Me and My Uncle," her demeanor tipping between self-possessed and shy. And then, a few times, she looked sideways into the camera, eyes big, sparkling and mysterious, as if she was saying, "Oh, you just wait. I have some things to show you." But even she - you know her as Joni Mitchell - could not have had any idea of all the things that were to come as she would become one of the most individualistically creative and influential music artists of our era, someone who defined, redefined, and refused to be defined by what it means to be a singer-songwriter. One simply cannot sum up the scope of her life in the arts. Yes, arts plural, as she has long said that she considers herself a painter first and a musician second. But in music, her reach is matched by no other's, starting early on as she drew as much on theater music and classical forms as on anything that one could call folk, no matter how much she used her mountain dulcimer. Her first albums were marked by invention all her own, starting with her indecipherable guitar tunings. By the early '70s she was tapping top jazz musicians, from slick Tom Scott and the L.A. Express to world-exploring Weather Report to worlds-creating Charles Mingus, to expand her already vast musical world, a decade before Sting did the same. Soon she was reveling in African and Afro-Latin sources, from the Burundi drummers to Don Alias, Alex Acuña and Airto Moreira, for some of her most distinctive work, also years before Talking Heads or Peter Gabriel did similar, not to mention Paul Simon's Graceland. And in the larger picture, she still stands as one of the most impactful documentarians and enactors of modern womanhood, placing female perspective in prominence where male views had dominated. Her willingness to reveal herself, with her flaws and vulnerabilities visible, was and remains a courageous act. 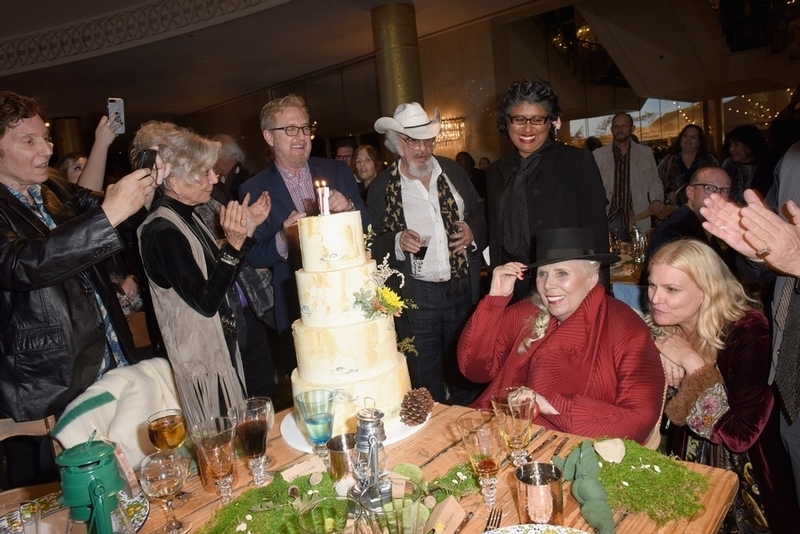 Hence, the seemingly impossible task facing JONI 75: A Birthday Celebration Live at the Dorothy Chandler Pavilion, the two-night, all-star celebration of Mitchell's milestone birthday presented by the Music Center last week in downtown Los Angeles. How can you capture a singular artist in just a few hours? And how can the particular singularity of this artist translate in full flower through other artists? Mitchell herself - her talents, vision and methods - is inextricable from her music. Mitchell is her art, and vice versa. Several performances on the second night (her actual birthday) embraced and embodied that concept, and in the process transcended mere tribute: Diana Krall's performances of "For the Roses" and "Amelia" had the audience members in hushed reverence in their course and had stolen their breath by the end. Seal tapped his inner Nat King Cole to transform "Both Sides Now" and "A Strange Boy" into heights-scaling soul-pop-jazz. 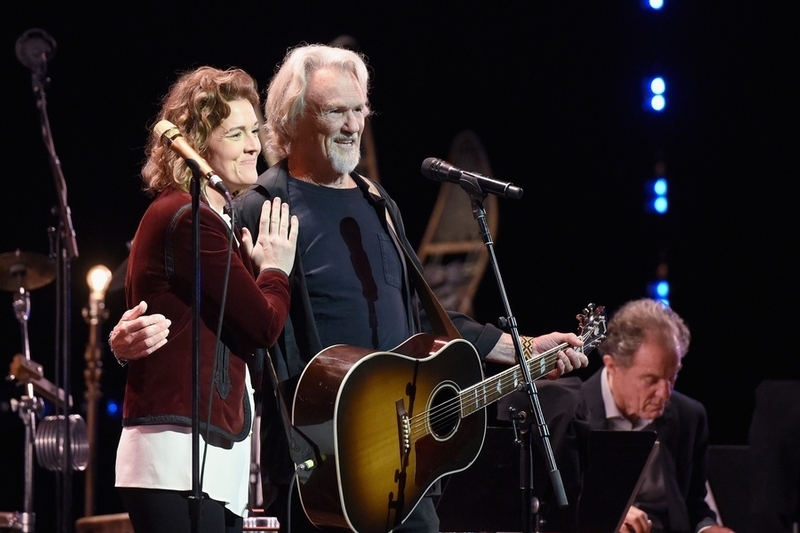 Brandi Carlile was just as arresting sticking to the Mitchell blueprint on her version of "Down to You," which she did following a charming if ragged "A Case of You" in duet with Kris Kristofferson. On the red carpet before the show, Carlile explained her process. "I try to do it just like she does it," she said. "Because, out of respect, out of reverence and out of the fact that I don't think it can be done better than she does it." But as an artist, doesn't she want herself in anything she does? "Anybody but Joni," she said, definitively. Even Emmylou Harris admitted to the daunting prospect of covering Mitchell. 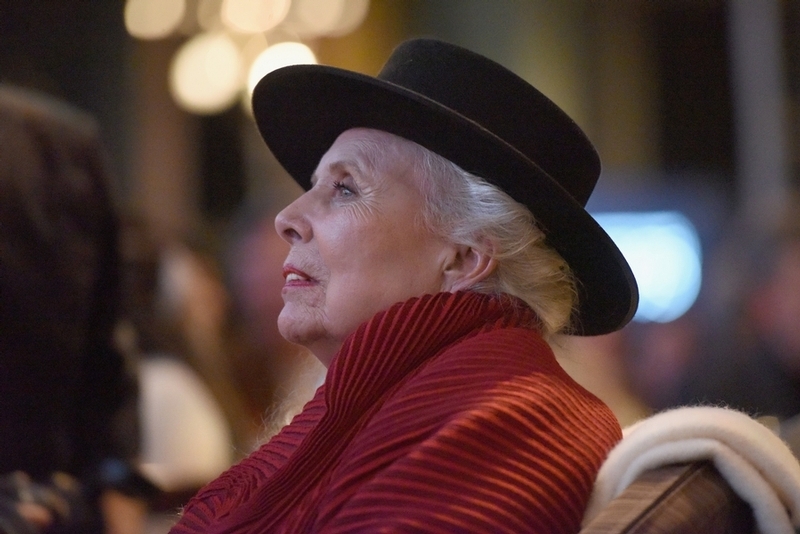 Though "an interpreter for most of my career," she noted, also on the red carpet, that she had only ever recorded one Mitchell song, “The Magdalene Laundries,” for a 2007 Mitchell tribute album. "We're all feeling the little bit of pressure," she said. "You don't want to take too much of Joni out of this, but on the other hand we have to make it our own. You'll see most of the artists did an amazing job." 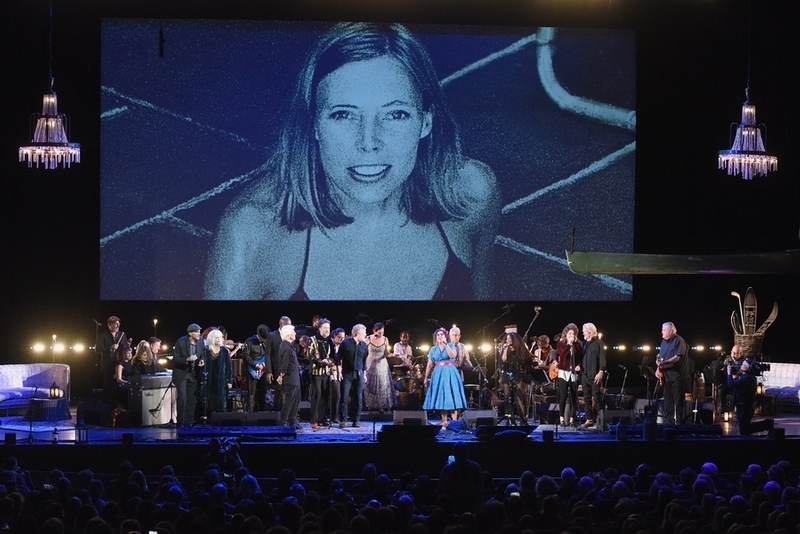 Harris performed that song (a lament for "women enslaved in convents in Ireland") at Joni 75, perfectly striking the balance she cited, and also for these shows added the similarly dark "Cold Blue Steel and Sweet Fire" to her Joni repertoire. Others found their own balance to varying degrees. Norah Jones brought some twang to "Court and Spark" and "Borderline." Glen Hansard injected his Irish exuberance into "Coyote" and "The Boho Dance." Rufus Wainwright, a fellow Canadian, added his mannered drama to "Blue" and took "All I Want" to Broadway. Khan in her two spots brought soul-jazz to "Help Me" and "Two Grey Rooms." James Taylor managed to make "River" and "Woodstock" sound as if they were his own songs, without losing any of Mitchell's presence in them. Through it all, the house band, led and arranged by pianist Jon Cowherd and drummer Brian Blade (the latter a veteran of Mitchell's bands), expertly covered the full range of the music, shining and soaring in particular on the chamber-orchestral middle section of "Down to You." Graham Nash, rather than doing a song by Mitchell, did one about her: "Our House," his portrait of their Laurel Canyon domesticity from so many years back, the crowd singing along on the chorus and sharing the bliss. Mitchell herself was in attendance on the second night, hobbled but hearty more than three and a half years after suffering a brain aneurysm. The crowd sang "Happy Birthday" to her twice - once as she took her seat before the show, and again when she came on stage for a curtain call, a cake brought out and the assembled cast and crew reprising the all-hands closer, "Big Yellow Taxi," Mitchell sporting a huge smile, mouthing the words and even dancing a bit. Did Joni 75 capture the entire scope and depth of Mitchell's magnificence? Of course not. 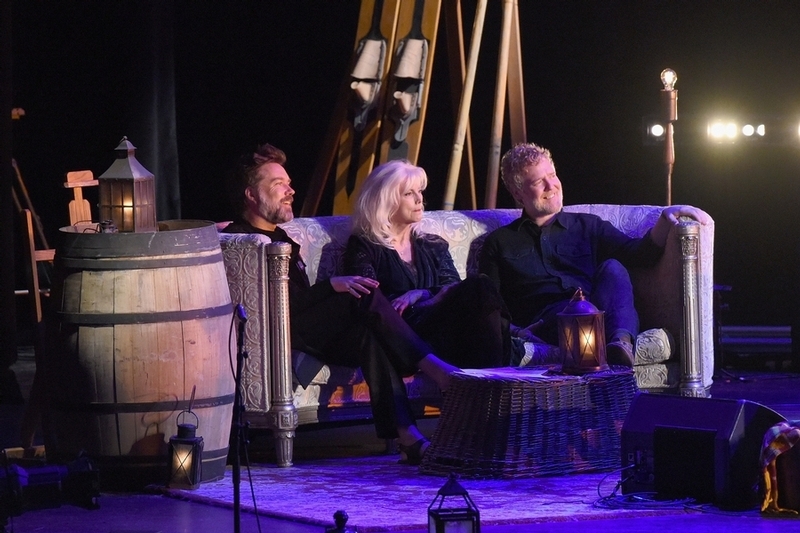 With her Canadian roots spotlighted in the stage decorations (a canoe suspended overhead, skis leaned at the back, a couple of barrels framing the set), the evening summed up her global embrace of music and art, and the global embrace of her music and art. This article has been viewed 705 times since being added on November 22, 2018.